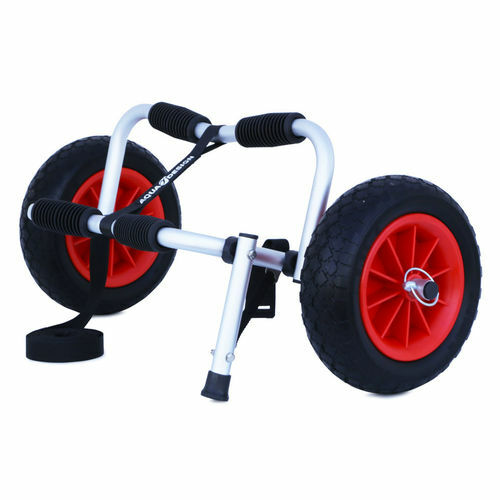 Kayak trolley with foldable kick stand. 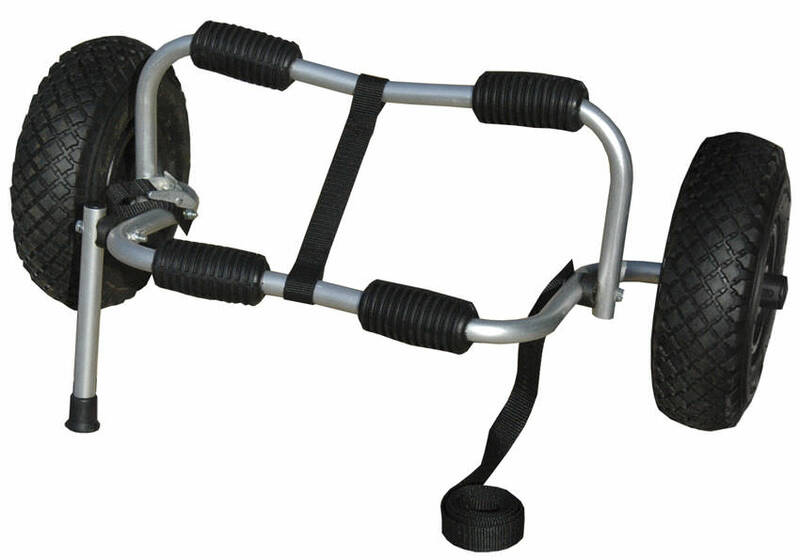 This trolley can carry loads up to 40kg. Suited to infla- table or rigid kayaks and light weight crafts.